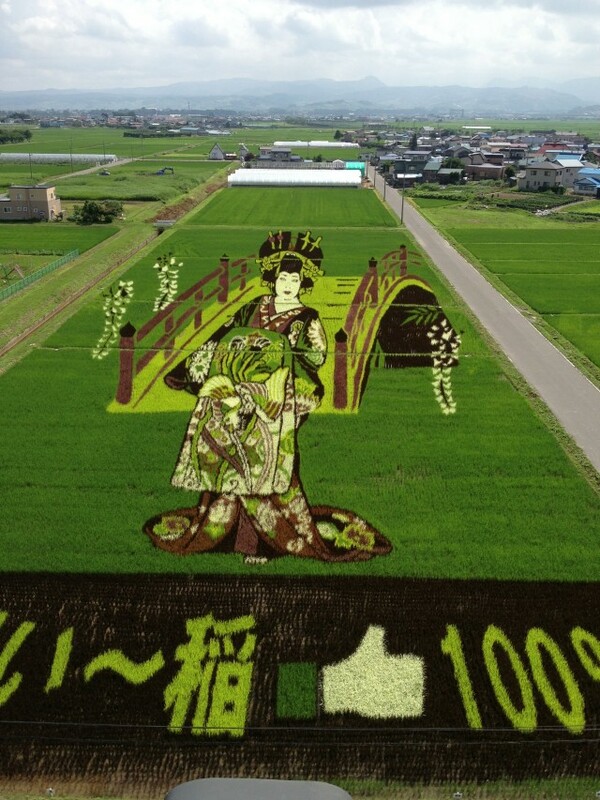 The Art of Rice Field (TAMBO Art) – japanese farmers of Inakadate village are famous that creating wonderful art using different types of rice plants. 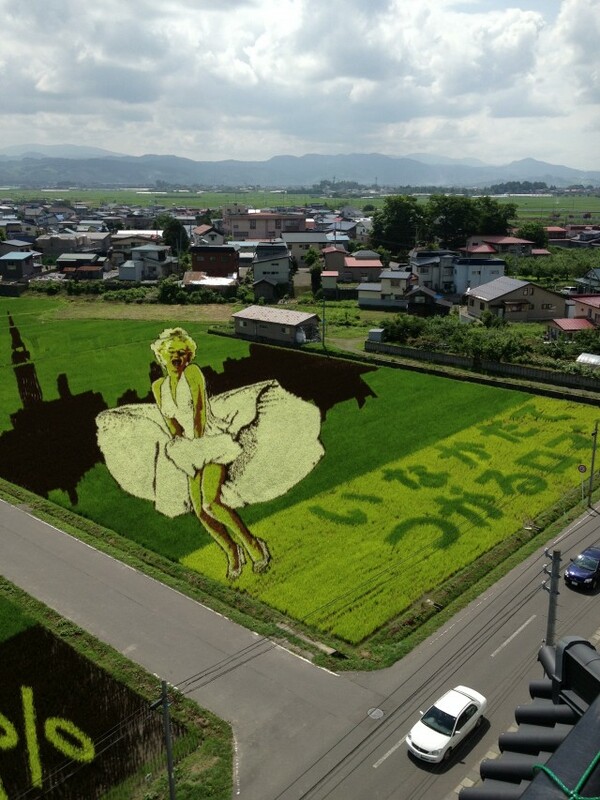 The rice paddy fields are decorated every year with giant art works. There is a first venue and the second venue, each design theme will be changed every year. 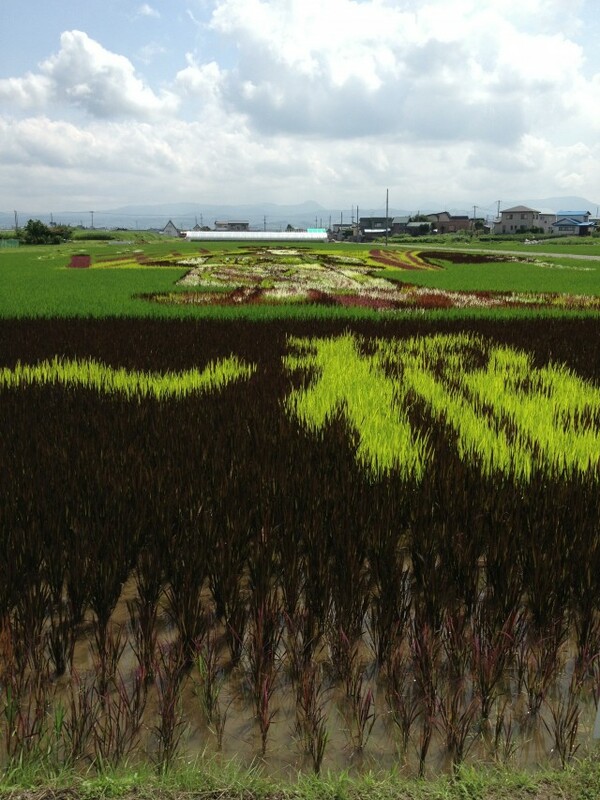 In the first venue, you can view all of canvas from the rooftop observation deck of the adjacent Inakadate village office. Second venue, to provide better view of the TAMBO art, 22m tower was constructed near the fields.